Short of structural concerns with oversize windows, you can really customize or change the way your home lets in light, circulates air, and even the views you see from it. Obviously, these projects require extra work and therefore cost more. But as with any home renovation, knowing how much something costs can help you decide exactly what’s right for your project. 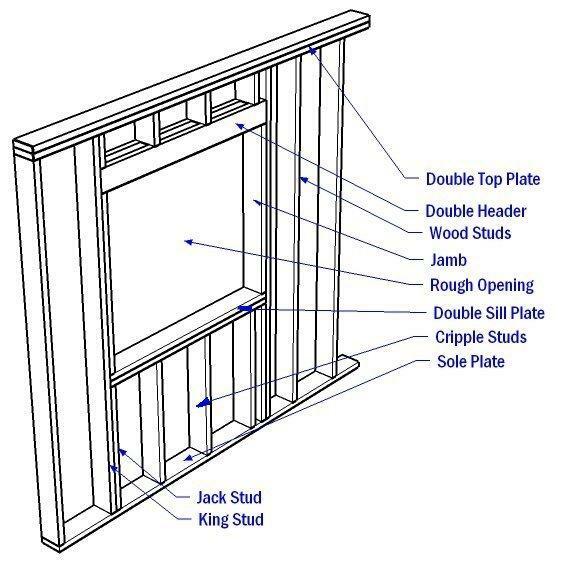 King studs often have to be cut, and headers replaced with bigger ones when expanding a window. There are several ways to enlarge a window opening. A cut-down involves expanding the window opening downward. This work doesn’t affect the header above the window or the studs around it. Because the structural integrity of the walls surrounding the windows is not challenged, cut-downs usually don’t require a municipal building permit. This type of cutting requires less work than expanding sideways and costs less as a result. Expanding the walls to the side or cutting a window from a wall, requires some interruption in the wall construction, and a permit for this kind of work is a MUST. Some companies will try to forego getting the permit or tell you that you don’t need one. In the end, it’s better to do things the right way as a permit will ensure any work that is being done results in a stable structure. Enlargements and cut-outs cost more than cutting a window down. If you are looking to enlarge your basement windows, whether to fit fire code requirements or just because, you will need to cut the concrete in the basement walls. Not all window companies cut concrete, but most will be able to suggest somebody in the area. Remember that cutting concrete walls in the basement can include in additional costs for trenching, wells, sidewalk and sprinkler relocation, or even any landscaping. When enlarging the window opening you generally have the option to cut downward or to the side. As you can see, with a concrete cut-out there are quite a few variables that go into pricing the work. One thing you should look out for when getting a window quote, or signing a contract, are hidden costs. Make sure that the window company can provide you with the price of all labour and products. How Much Does It Cost To Cut a Window? Overall rating: 4.9 out of 5 based on 41 reviews.